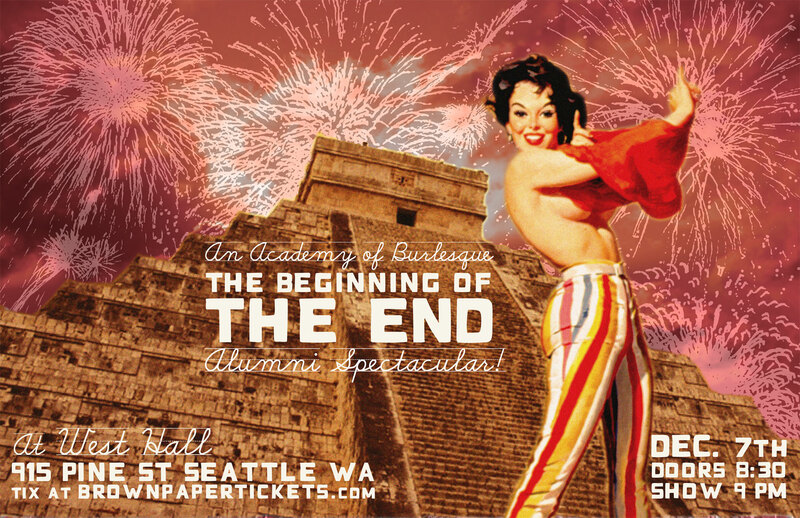 9 to 5: An Academy of Burlesque Alumni Spectactular this Saturday! 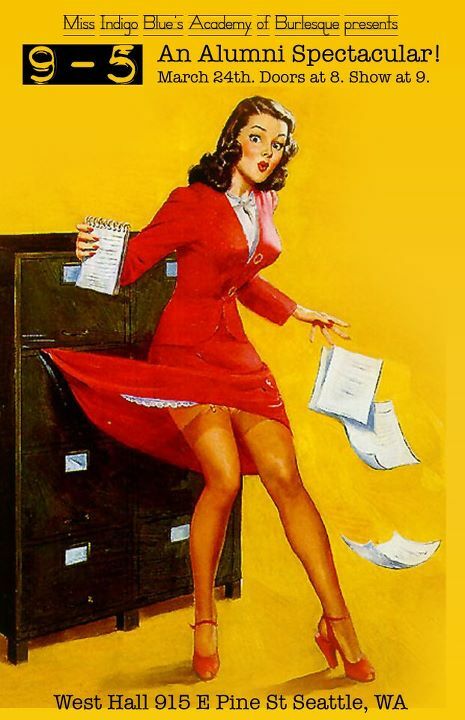 Are you a working stiff? Aren't we all, right? Well then, do I have a show for you! 9 to 5: An Alumni Spectacular! It's all takin' and no givin'..."
Who can't relate to that song, especially these days?! The lovely Academy of Burlesque Alumni sure as heck can & will prove it at "9 to 5: An Alumni Spectacular!" Whether you're employed or currently unemployed, union or non-union, day shift or night shift, this is a theme we can all relate to! Our performers are eager to outline their daily bump & grind of their not-so-glamorous life. The fabulous EmpeROAR Fabulous is our host for the eveing! So, tumble outta bed and stumble to the kitchen, pour yourself a cup of ambition (or something) and join us for "9 to 5: An Alumni Spectacular!" "9 to 5: An Alumni Spectacular!" will be on Saturday, March 24th, 2012. Doors open at 8:30, and show begins at 9pm in the beautiful West Hall Theater of the Oddfellows Building! Bring your appetite, because The Tin Table will be serving tasty beverages and delicious food for you to enjoy. Come early and hang out in the bar, and stay late to mingle with the stars! Accessibility: Wheelchair Accessible, call 206-478-9475 to arrange special seating.